For the past few years, there has been a lot written and said about digital marketing. Every expert has their own secret sauce in getting you new business. Each one has their own methods and software preferences in developing reoccurring results. One thing remains consistent in digital marketing, the Pay-Per-Click Model which is used by search engines, and display advertisers work in driving sales. Measurable – You know if your ads are effective or not. Budgeting – You control your budget of how much you are willing to spend. Automatic – You get top listing priority or featured ad placement, which increase your chances to get in front of the right visitors. Flexibility – You have the ability to change your ads, budget, display frequency of your ad and the target demographics, on-demand. This advantage allows marketing teams to get to their target market at lightning speed and optimize for stronger return. The success of Pay-Per-Click Search Engine Marketing has created a competitive landscape that gives larger marketing budgets an advantage. Paying for position in 2019 will be getting more complex, so you will need to more aware of your digital marketing spend for PPC. Businesses right now are feeling the rise in the cost of paying for keywords to receive more impressions and ad displays to potential leads. The reason for the rise in keyword costs is because of the transparency to competitor information. Can my competitors see what keywords I pay for? Yes, with tools like SpyFu, BuzzSumo, SEMRush, and similar tools can see what you or your competitor’s keywords are and the search volume for those keywords. Now if you are in a highly competitive industry this can be costly. Search Engine Marketing is evolving. Staying in front with a higher budget to edge out your competitors can lead to spending more but not necessarily more business. Don’t hit the panic button just yet! Like I said earlier, the Pay-Per-Click Model is still one of the best investments for your digital marketing budget. Whether you are doing your marketing yourself or you employ a professional agency there are ways you can get ahead and make the most of your marketing budget. 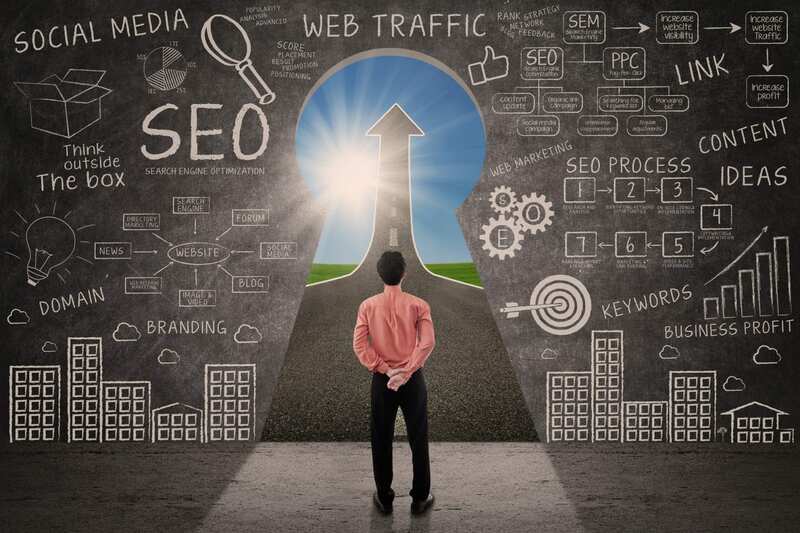 Search Engine Marketing isn’t just about paying for more, it is an important piece of a larger growth engine in converting visitors to potential buyers to customers. There are many pieces to that larger growth engine, but in a nutshell, it is the journey your prospects go through to make a decision to buy from you. For Search Engine Marketing, focus on making the most of each click. To reduce or offset the rising cost of Point-Per-Click, attract more qualified traffic and convert them. Sounds simple right? Below are some tips and resources that can help you. Understand your target and build the right content for the persona your targeting. Experiment with conversion landing pages and track your results. Leverage Social Proof – People like reasons to trust a company they’re interested in. Use a Professional – Not that guy which sells stuff, but has zero experience in digital marketing – You know the person that takes your money then sends your information halfway around the world to be worked on, then when things go sideways they blame you or their offshore subcontractors. Find a real digital marketing professional that can walk you through the action plan, reporting, and optimization process. Meet with that person and then ask to meet with their team, which will be handling your company’s information. Paying for position in 2019 may cost a little more and take a more work, but there is no doubt when you’re looking for immediate returns that the Pay-Per-Click (PPC) ad model used by Google, Bing, Yahoo, Facebook, Linkedin, and similar websites can drive sales revenue for your company. Just remember when you’re setting your budget for 2019 to understand what you want to accomplish, find a marketing company that can show you what you how they will be able to convert more visitors to leads, and lastly keep optimizing for better results. Did you ever consider that your investment into your digital marketing can use a tune up? Find out why paying for position or PPC can be a bigger expense with a low return? 2019 can be a good year for you and your digital marketing efforts, but change may need to occur so that you reap the full rewards of an improved strategy.